And going since 1960. 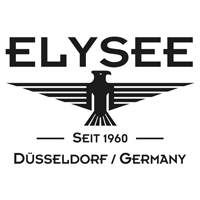 What began in the 1920s with high-quality unique products in the Swiss Jura, ELYSEE has been continuing in the fashion metropolis of Düsseldorf since the start of the 1990s. At the main company building in Düsseldorf, distinctive timepieces are being created to this day, each one a loving homage to the expression of form stretching back to the 1950s. Whether sporty chronographs, fine dual-timers or sophisticated complications such as lunar phases or tourbillons, ELYSEE watches always feature a passion for captivating design and impressive technology. Just like our testimonial for Graf Berghe von Trips, who conquered the racetracks of the world in the 1950s and 1960s with his passionate style of driving.